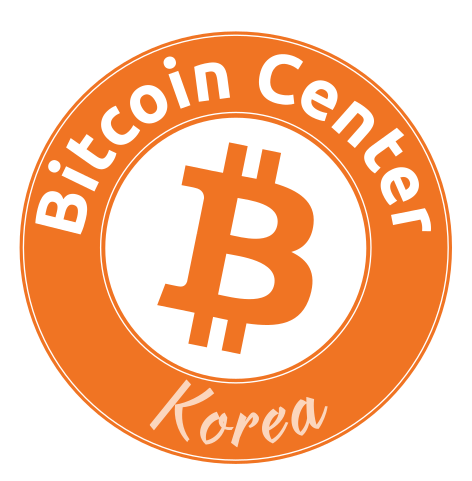 As interns at Bitcoin Center Korea, we were very curious to see if Bitcoin is being accepted in any restaurants or stores in Korea. Our boss, John, who discovered a restaurant with a Bitcoin sign in front of its entrance, named “The Jell”, and he suggested we pay it a visit. We contacted the owner, Mr. Lee, and he invited us to The Jell for a splendid experience. When we arrived Mr. Lee gave us a tour of his restaurant and he was kind enough to do an interview with us. After we sat down and ordered some of the house specialties and a bottle of wine, Mr. Lee shared some of his thoughts and experiences with us. 1. How did you begin this business? After studying in Berlin for 16 years, I returned to Korea in 1986. At that time, there were very few stores that sold foreign products. So, in 1992, I decided to open a convenience store which sold delicatessen goods (such as bread, olive, salami etc.) and wine from foreign countries, primarily from Europe. This small business then transformed into a dream to open the best wine bar and restaurant in Korea. 2. Please tell us about the concept and specialty of “The Jell”. My wine bar and dining area consists of 5 floors – The basement is where we store all of the wines. It was built using 100-year-old bricks because I wanted to create the feeling of being in an old European castle. At the same time, the old bricks keep the temperature in the room cool, purify the air and control the humidity level a perfect environment for the wines. The 1st floor is a whisky bar, while the 2nd, 3rd and 4th floors are the dining areas. The 5th floor is an open air space on the rooftop, where diners can enjoy their meals and wines with an amazing view of Seoul. The whole construction process took about 15 years, but from time to time, I renovate the place when I feel like it, so that the space continues to look as unique as possible. 3. Was “The Jell” a popular place among Koreans when it first opened? No, in fact, most of my customers were foreigners! Many Europeans who are wine-lovers often visited my restaurant. Koreans did not know anything about wine, perhaps because they were not exposed to foreign cultures at that time. However, the wine-drinking culture spread really quickly across the nation, and now it has become a popular trend. I now have many more Korean customers than foreigners. 4. We realized that there is a Bitcoin sign outside of the restaurant. Are you currently accepting Bitcoin as payment? Yes, I have been accepting Bitcoin since October 2016. Actually, I got to know about Bitcoin 3 years ago, when my friend told me that he was migrating to Canada because he earned profits from a long-term investment in Bitcoin. That story fascinated me and I decided to study more about Bitcoin, so I spent 1 week on YouTube just educating myself about cryptocurrencies, investment and trading. Since then, I started investing in Bitcoin, S-coin (a European cryptocurrency) and a few other cryptocurrencies. So I decided to start early and implemented Bitcoin and S-coin as alternative payment methods at The Jell. Scanning the Bitcoin address of the restaurant for payment! 5. “The Jell” is possibly the only wine bar and restaurant in Seoul that accepts cryptocurrencies as a payment method. Have you talked to other businesses around you? Yes, but some of them are afraid. They think that cryptocurrencies are too volatile so they don’t want to take that risk. Most of them have heard of Bitcoin, but do not know aboout the technology in detail. Having said that, Korean trends are really unique because of the “ppali-ppali” (fast) culture that we have. Once Korean society becomes educated about a certain product or technology it can spread like wildfire in a short period of time. Bitcoin is still a relatively new technology for Koreans, and once people study it and become comfortable with the technology, I am positive that an increasing demand and usage of cryptocurrencies will occur instantly. 6. Are there any future plans to include other cryptocurrencies in the future? Yes, definitely. I am planning to include the top 10 cryptocurrencies such as Dogecoin, Litecoin and Ethereum as payment methods. I believe that in the future (by 2040), these coins are going to be worth so much that they will replace the tangible currencies that we have now. This particular pasta is exceedingly simple in its execution and an is extremely well-balanced dish. The smooth texture of the pasta is complimented by the olive oil which is only further compounded by the fresh zucchini. Furthermore, the lightly-cooked shrimp adds to the richness of the flavor. The clean, refreshing feel of the dish guarantees that you’ll finish the plate with room for more. This romaine salad boasts 30 different ingredients of the finest quality. Peanuts, roasted tortilla, and Monterey Jack cheese are just a few of them. However, despite the impressive ingredient count, the harmony of this dish works perfectly. The sauce brings all the components together. In one bite, the diner can enjoy the crunchiness of the tortilla, the richness of the sauce, and chewiness of the grilled chicken simultaneously. The steak platter is the most economical steak dish in the menu. We ordered one medium rare. The meat was juicy and tender while slightly charred on the outside, and the seasoning gave the dish even more impact. On the side, the salty, roasted potatoes were cooked perfectly. The outside was toasted and the inside melts inside the mouth. This wine comes from Valencia, Spain; D.O. Utiel-Requena. When you drink it, you can taste the blend of Tempranillo and Cabernet Sauvignon which leaves a dry and smooth sensation on your palate. It contains 13% alcohol which makes it an easy-to-drink wine.